The Dragonfish network is affiliated with the 888 Holdings company, and the software powers some of the most successful online bingo sites around today. 888 Holdings began in 1997, and developed this particular software as a completely unique division of the 888 brand. The Dragonfish network was first established back in 2007, and have since gone on to gain over 10 years proven credentials with extensive experience in all aspects of the regulated online gaming market. The company are devoted professionals within the gaming industry, and invest heavily in the constant improvement of their products. The Dragonfish brand is licensed and certified in multiple regulated jurisdictions, including a license from the UK Gambling Commission and certification from eCogra. The software powers some of the hottest online bingo sites out there these days too, including Wink Bingo, Bright Bingo and 888 Ladies. With such great online bingo brands choosing the Dragonfish software, you can feel safe in the knowledge that you are gaming with a renowned and trusted brand. All of the Dragonfish online bingo sites have a bold and bright feel, and each site is tailored with a great sense of personality and style. The bingo on offer is hugely varied, and all sites also offer an extensive range of slots and table games too. There is a slight familiarity between each Dragonfish site, however the company work really hard to give each site its own individual characterful branding and themes. Min first deposit of £5. First deposits receive 500% bonus up to £100 max (eg. £20 dep = £100 bonus). Cash out requires 4x wagering with regards to bingo bonus & 80x with regards to games bonus. Wagering requirements vary by game. Min deposit £10. Bonus paid as 200% bingo bonus and 200% games bonus up to a maximum bonus of £100 + 15 free spins (FS). Bingo bonus wagering requirements = 2x deposit plus bonus funds; games bonus = 50x and these vary by game. FS only available on 'Fluffy Favorites' & expire after 7 days; capped at £4. New players only, first deposit only. Min deposit of £10. Kaching tickets x 60 credited automatically. The Big Bang tickets x 4 & 10 free spins credited within 24 hrs excl.Saturday. Free spin wins capped at £1 cash, no wagering on winnings, further terms apply. Deposit bonus = 400%; min deposit £10, max bonus £100. 6 x wagering applies, certain games do not count. 20 free bingo vouchers credited within 48 hours, usable on The Sure Win/Sure Win 2 only. New players, min dep £10. £60 bingo tix + 20 Spins on Starburst. wins capped at £5, WR: 85x(bonus); 8 tix to "£2,500 Real Cash" (real cash wins). 20 tix to "£50 Daily Treat": WR: (4x bingo bonus). Games Bonus wins cap: £400 + the initial bonus amount. Deposit balance can be withdrawn at any time. Wagering restrictions & T&Cs apply. New players, min dep £10. £30 bingo tix +20 Spins on Stampede, wins capped at £5, WR: 85x (bonus); 4 tix to "£2,500 Real Cash" (real cash wins). 10 tix to "£50 Daily Treat": WR: (4x bingo bonus). Games Bonus wins cap: £400 + the initial bonus amount. Deposit balance can be withdrawn at any time. Wagering restrictions & T&Cs apply. 250% bonus on 1st deposit, min dep £10, max bonus available £250. Withdrawal restrictions apply as well as 2x wagering requirements (different games contribute different percentages). Deposit minimum £10. 400% bingo bonus up to max £100 (3x wagering to withdraw) + 10 spins per day for 5 days (available for 24 hours, certain games excluded). Free spins winnings credited as 'Games Bonus' & carry 99x wagering. Min deposit £10. Welcome bonus = 200% + £10 bingo bonus up to a maximum £210. Winnings carry 2x wagering requirements on bingo + withdrawal restrictions. New players only. Wager min £10 (excluding ‘casino games’) within 7 days of deposit, get 300% bingo bonus (max £200) + 1,000 Wink Rewards [WR] worth £20 bingo bonus. WR may be redeemed in Wink’s Shop for bonuses. Bonus + WR must be claimed within 7 days of grant. To withdraw bonus & related wins, wager 2x the amount of deposit + bonus funds. Deposits can be withdrawn at any time. Withdrawal restrictions & Further T&Cs apply. Min deposit £5, get 200% bingo bonus (max £70) + 100% games bonus (max £35). Bingo bonus winnings carry x 4 wagering, games bonus winnings carry 80 x wagering. Bonus = 150% bingo bonus + 150% games bonus. Min dep £5, max bingo bonus £52.50 (x4 wagering), max games bonus is £52.50 (x80 wagering). Bonus winnings capped at £100 (not jackpot win), withdrawal restrictions apply. 200% bingo bonus to max £70 with 4 x wagering requirements. 100% games bonus to max £35 with 80 x wagering requirements. Min qualifying deposit £5. Withdrawal restrictions in place. Bonus wins capped at £100 (excluding jackpot win). 250% bonus up to £100 maximum, min deposit £5. Bingo bonus carries 4x wagering & games bonus carries 80x wagering. A min £5 deposit = 200% bingo bonus (with £70 max bonus & 4x wagering) + 100% games bonus (with £35 max bonus & 80x wagering). Withdrawal restrictions also in place. Valid on 1st deposits of £10 min, max bonus available is £200. Withdrawing related winnings requires 2 x wagering. Check withdrawal restrictions. Bingo bonus of 200% (£70 max bonus) & games bonus of 100% (£35 max bonus) awarded upon successful 1st deposit of min £5. Bingo bonus carries 4 x wagering, games bonus carries 80 x wagering. 1st time depositors only. Min Deposit £10.Max bingo bonus £100. To withdraw Bingo bonus & related winnings, wager x4 the amount of your Deposit+ Bonus funds. Deposit balance is available for withdrawal at any time further T&Cs and full T&Cs apply. 1st time depositors only. Min Deposit £10, Max bingo bonus £100.To withdraw Bingo bonus & related winnings, wager x4 the amount of your Deposit+ Bonus funds. Deposit balance is available for withdrawal at any time further T&Cs and full T&Cs apply. Get 200% bingo bonus (max £70 & wagering x 4) + 100% games bonus (max £35 & wagering x 80) for depositing £5 minimum. £100 cap on bonus related winnings excluding jackpot wins. Withdrawal restrictions in place. Certain games excluded from wagering contributions. Dragonfish powers an industry leading bingo network with over 140 partner brands. The network is robust, scalable, dynamic and slick, and it provides the perfect platform for several successful online gaming brands including the likes of ABC Bingo and 888 too. The 888 Holdings PLC company made a huge investment into the Dragonfish network as an individual branch of 888 back in 2007, and really wanted to develop a brand new advanced software with exceptional quality and content for its players. Dragonfish also offers gaming brands the expert advice and knowledge in marketing and operations too, so can therefore run a brand on existing software and solutions, or help to create a brand/idea entirely form scratch. It’s a very good, sophisticated and slick software, and the sites that run on Dragonfish are very popular amongst the online bingo community. Highly customisable and user friendly interfaces, with simple navigation and easy to use sites. The first online gaming network to offer Multi-currency deposit options, providing a convenience to customers across the globe. Fully certified and licensed for the UK regulated market. Bright and bold theming throughout all sites, giving a personal feel with a sense of fun and vibrancy. Industry leading experience via the 888 Holdings company, offering up expert knowledge in safety, security, customer service and smooth business operation. Excellent variety of bonuses, promotions and jackpots available across all bingo, casino, side games and slots. A large focus on social media and the community side of online bingo and gaming, with over 300 chat room hosts and individual Twitter and Facebook pages are available for each Dragonfish site. As well as offering up some exceptional online bingo platforms, the Dragonfish software also powers a number of online casino sites plus an individual online poker product too. The company have a wealth of experience in this area due to the success of 888 Holdings, so therefore all of the Dragonfish bingo sites will have a brilliant selection of table games and slots integrated into the sites too. Dragonfish are also highly committed to providing responsible gaming to its customers at all times, and strive for an excellence in the company’s responsible gaming policy and ethical conduct. They aim to actively raise awareness to ensure a responsible gaming environment, and above all help to make certain that customers are always safe online. The staff at Dragonfish are highly trained in these areas, and work hard to create the safest gaming environments that they can. It’s very easy to become overwhelmed by the amount of online bingo platforms and software providers available these days, also if software company powers a ton of sites on the same network, it can raise concerns that they perhaps aren’t committed to one particular site. At Dragonfish however everything is generally pretty basic throughout. The whole feel of the company is classic and simple, and the sites are kept familiar across the board and are super easy to use. The bingo on offer is fairly standard across all of the sites, and the layout and design of the games and chat rooms etc are easy to navigate without too much going on. There are over 300 experienced chat hosts available across all of the Dragonfish online bingo sites, and a huge focus is put into the social side of the game as well as the gaming itself. The aim is to make all the sites nice and friendly and welcoming, and with a multi language option available too so you can catch up with people all over the world. Drawing on over 20 years experience in operating 888 casino, the Dragonfish team have excellent knowledge in this particular area of the online gaming industry. They are able to deliver a huge array of casino and slots products to their online bingo sites, all of which fall under the Dragonfish Casinoflex branding. Over 300 games available, including exclusive in house products designed specifically by the 888 team. Over 100 games available on mobile format and counting. Excellent variety of jackpots and promotions available across all games, including real money wins, free spins and loyalty points. Multi language quick play games available. The network also offer their own unique poker platform too, which is available across a few of the Dragonfish online bingo sites. The product was launched in 2002 initially, with a rebrand in 2010 transforming it to focus more on the recreational player. It’s the only poker platform that is licensed and deployed in all US states, making it sought after throughout the whole of the USA. Dragonfish have integrated bonuses, promotions and jackpots systems throughout the software, enabling registration bonuses, loyalty points, chat game prizes and progressive jackpot games too. These progressive jackpots can rise to over £1 million pounds each time, and they are shared throughout the whole network and are therefore linked to other Dragonfish sites. As the Dragonfish network is well connected to the highly renown 888 company, you can always rest assured that a huge focus has been put into the safety and security of all its players at all times. 888 have over 20 years experience in online gaming , and therefore the same values and ethics have filtered into the Dragonfish company too. There is a huge focus on responsible gaming throughout the company, and a lot of measures are in place to keep players safe across all sites. There are mandatory entry level training and weekly refresher courses for all customer support staff, to assist in identifying compulsive or underage gambling. There are also separate services in play to prevent anti-money laundering and fraudulent behaviour too. As mentioned before, all of the online bingo sites that operate across the Dragonfish network are bold, bright and jam packed with personality. They are generally all really colourful. vibrant and highly themed, and are the perfect choice for players who like some good classic bingo games within a warm, friendly and fun environment. 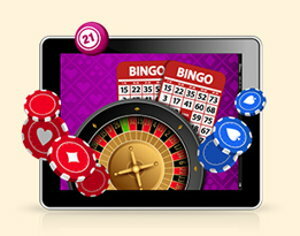 As most of the Dragonfish online bingo sites are themed, each one offers something a little bit different. There are several characters and site mascots to be found throughout, and the bonuses, promotions bingo rooms and chat games all tend to tie in nicely within each theme. Some of the sites have a slight tongue in cheek feel to them, and definitely put a large focus on the fun factor and social aspect of the game. All of the sites have links to social media platforms too, and most Dragonfish players tend to be people who enjoy this side of online gaming. Although sometimes the theming can be quite bright and bold, it doesn’t overpower the gaming itself. The graphics and game design are all still of excellent quality throughout, and its never a case of style of substance. They may not be the most muted toned sites, however the gaming doesn’t suffer and the individual sites are all maintained to an equal standard. Should you ever want to contact the team at Dragonfish for any reason, you can find an extensive information on most things on their company website at www.dragonfishtech.com. As the Dragonfish company started out as an branch out from the successful 888 Holdings company, it’s pretty easy to see why they have gone on to have such success themselves. With such experience and knowledge already behind the brand, it’s no wonder that they’ve gone on to power such brilliant and popular online bingo sites across the globe. 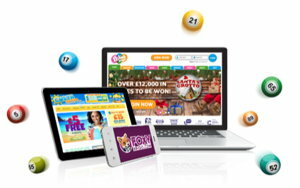 The sites are fun themed and bright with brilliant games on offer, and the impressive software technology allows bingo and casino games across mobile apps, tablets, laptops and more for on the go gaming. The Dragonfish company are always dedicated to constantly updating their software and features too, so the sites are always kept up to date and maintained to an excellent standard with a modern feel. The company is a division of the highly successful 888 Holdings PLC brand. 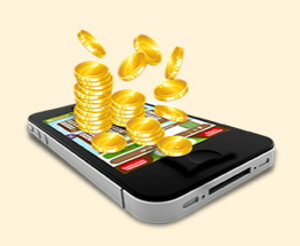 888 have over 20 years experience in the online gaming and casino and poker industry. Dragonfish have been operating now for over 10 years to much success. The software powers over 100 online bingo, casino and poker sites throughout the world. The sites are constantly updated and advanced, to keep up with other leading software competitors. Every Dragonfish site has a very personal feel, with individual branding and its own sense of style. All dragonfish sites are bold and bright in colour, with a strong focus given to the fun side of online gaming. Some of the online bingo sites will have certain characters and cute mascots attached, which all adds to the fun and personal feel of the site. Each dragonfish branded site have their own social media platforms attached too, so there is also a big focus on the social aspect and community side of the game as well. If you’re looking for an online bingo site that has lots of personality with a really fun feel, then look no further than a Dragonfish powered site. The theming is always bold and bright in colour, and the layouts and designs are super simple and easy to navigate too. There is always an excellent selection of classic bingo on offer, as well as a huge variety of casino, poker and slots thanks to the 888 Holdings company influence behind the brand. The company are established and renowned throughout the online gaming business, and you can feel safe in the knowledge that you are gaming with a highly trusted software brand.